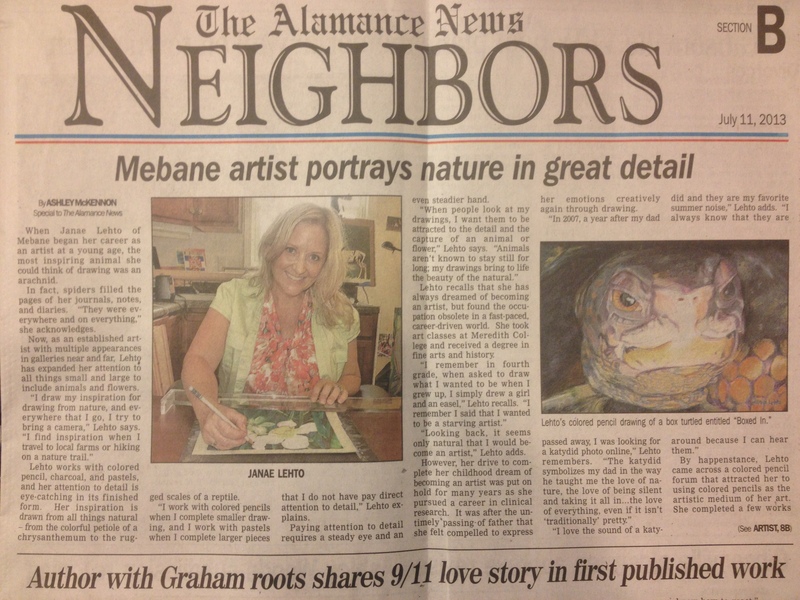 A few weeks ago, I was contacted by a local newspaper looking to do an article on me and my art. The writer left me a message on my phone and also sent me an email. I was typing up my email to respond to her (thinking out my answers so I wouldn’t have to worry about how many times I said “ummm” and “you know”). My plan was to call her back and use my draft email as notes (doesn’t everyone do that?). But before I could finish, she calls me again. And wants to come by my studio NOW. If you like my facebook art page, you might have seen a post saying I was rearranging my studio just the night before. Do you know how organized artists typically are? Can you imagine what my studio looked like the day the reporter wanted to come over? Most of my art was still hanging at the Roasted Coffee Depot in Graham, so I had limited inventory in my studio as well. I don’t remember saying ALL of this and in those EXACT words, but it’s consistent with what I have on my website and SOUND like something I would have said. 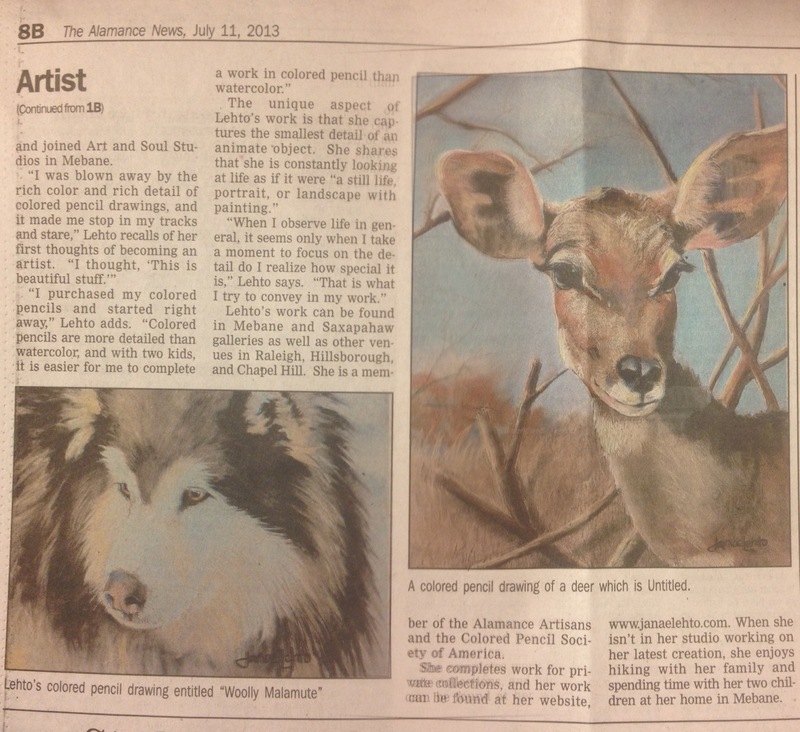 In case anyone familiar with the two pieces on the second page catches these errors, the “Woolly Malamute” and “Lesser Kudu” (it does have a title) are pastel, not colored pencil. All in all, it was a good experience! Anyone interested in doing a follow up article, I can now say my studio is back in one piece and my paintings have returned from the coffee shop. janaelehto I'm a colored pencil, pastel and charcoal artist who likes to paint and draw anything in nature. Girl this is so AWESOME!!!!! !